I once made a cheese cake that took me all day to make. I'm dead serious. All day! Bless Martha Stewart's little heart. But we live in the real world, right? 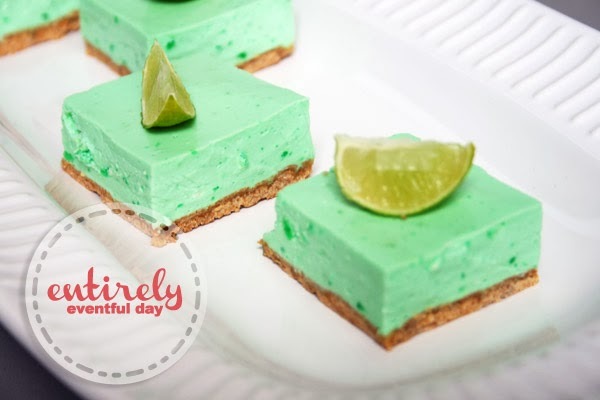 Which is why I love this super easy lime cheesecake recipe. It's super fast, easy and it makes people think you spent all day baking. Wait... do I want people to think I spend all day baking? 1. Place the graham crackers in a blender, food processor, or crush them, whatever works. 2. Melt the coconut oil in the microwave in increments on 30 seconds. 3. Combine the crackers and the oil. 4. Spread and press the mixture on the bottom of a baking dish. 1. Combine boiling water and Jell-o in a mixing bowl. Stir until dissolved. Set aside. 2. 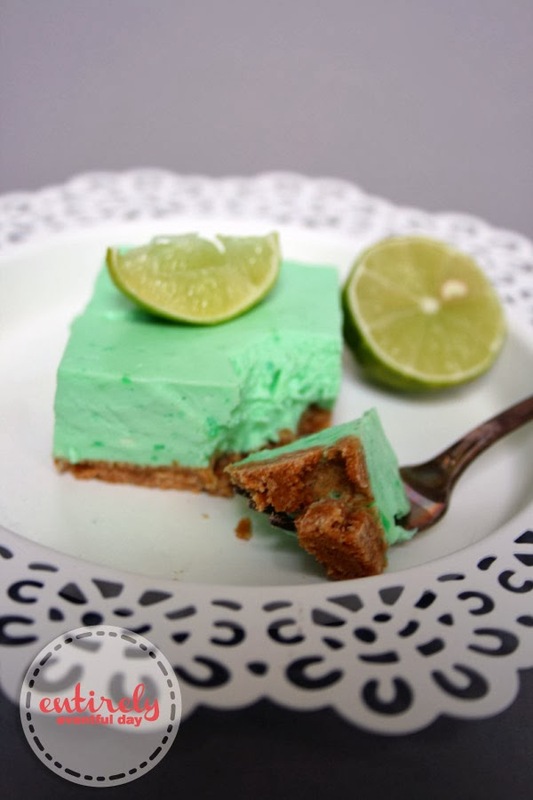 Use a blender or food processor to combine the cottage cheese, cream cheese, and sour cream. 3. Add 1/2 cup of the cheese mixture to the Jell-o, combine. 4. Add the rest of the cheese mixture. 5. Spoon filling into baking dish containing the crust. 6. Cover and refrigerate 3 to 8 hours. That's it! 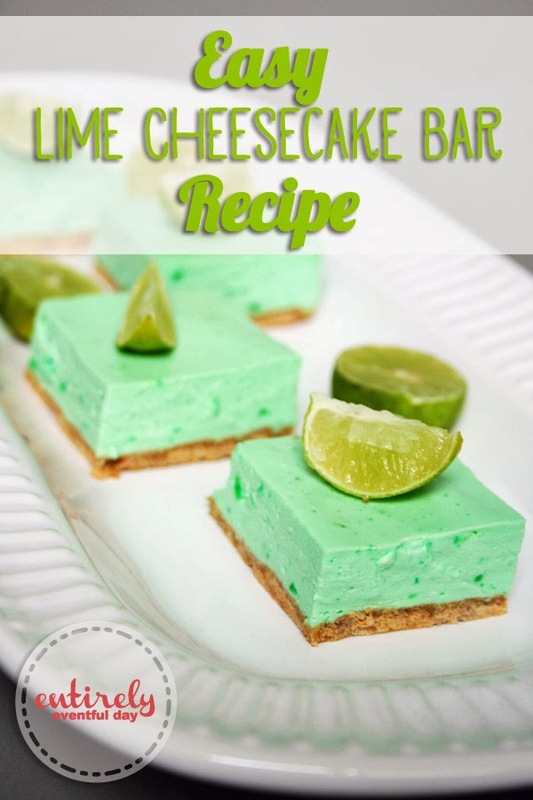 Now you have some yummy and tangy treats!